6. Monitoring system on broken paper or ripping edge under high-speed running the equipment; Jumbo roll tension controlling system; Air pneumatic lifting the jumbo roll. 16. 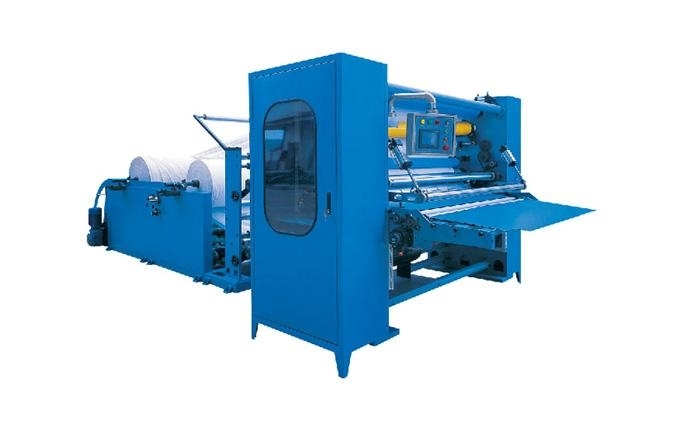 Point-to-point embossment glue laminating system (should be ordered separately), Driven by servo; No counter point embossment glue laminating system (separate order), controlled by servo.